Poland, c. 1840. Beaker form. 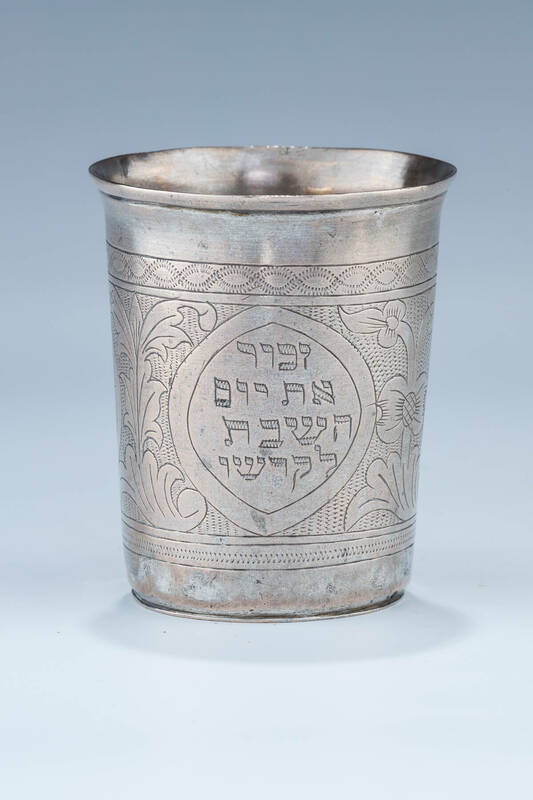 Engraved in Hebrew with Biblical commandment to remember the Sabbath. Further engraved with a synagogue and a sailboat. Repair. Marked 12. 2.7” tall.